Factory direct prices on water pumps; fire pumps, transfer pumps, stainless steel pumps, chemical pumps, & trash pumps. 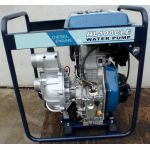 We have a wide variety of water pumps or transfer pumps for water, whether you are up for electric water transfer pumps, petrol powered pumps or diesel powered pumps, we have you covered. Water pumps for sale at factory direct prices across Australia with warehouses in Perth, Brisbane and Melbourne. Visit your local warehouse today or if you have any questions about our range, give us a call on 1300 793 001.